We are happy to inform that one more higher education institution in Latvia - Transport and telecommunication institute (TSI) - has decided to join the Higher Education Export Association (Study in Latvia Consortium). Now association has 14 members. Mission of TSI – combination of classic university traditions and innovative technologies, exact sciences and creative approach.Purpose of TSI – steady necessary of our graduates at the international labor market. Transport and telecommunication institute is a modern university with the almost centennial history. 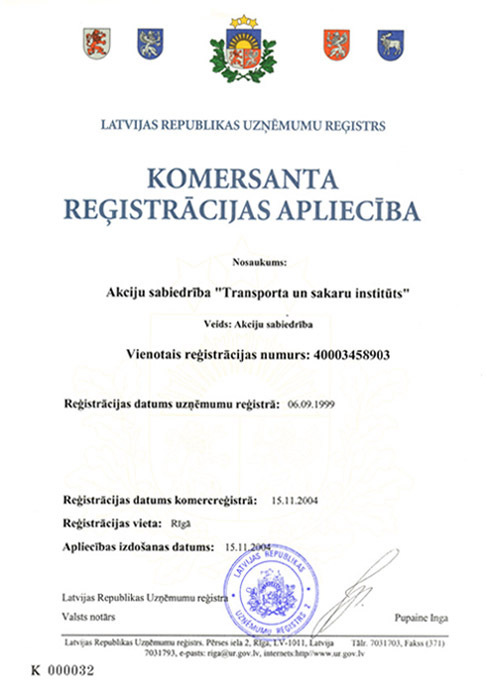 TSI – is the university-successor of the legendary RKIIGA (Riga Red-Banner Civil Aviation Institute) and RAU (Riga Aviation Institute). In the present-day appearance TSI was established in 1999. Nowadays TSI – is the only one private technical college university type in Latvia, where you can get higher education in Russian, Latvian and English languages. 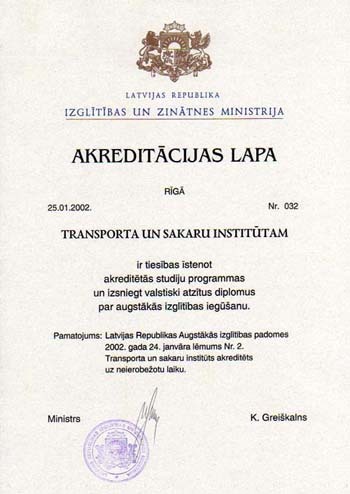 The Institute received permanent accreditation in Latvia as a higher education institution. Other official documents of TSI you can find here.